For more reasons, read on, because many of our solar and marine lights work exceptionally well in areas far away from any bodies of water, including deserts. 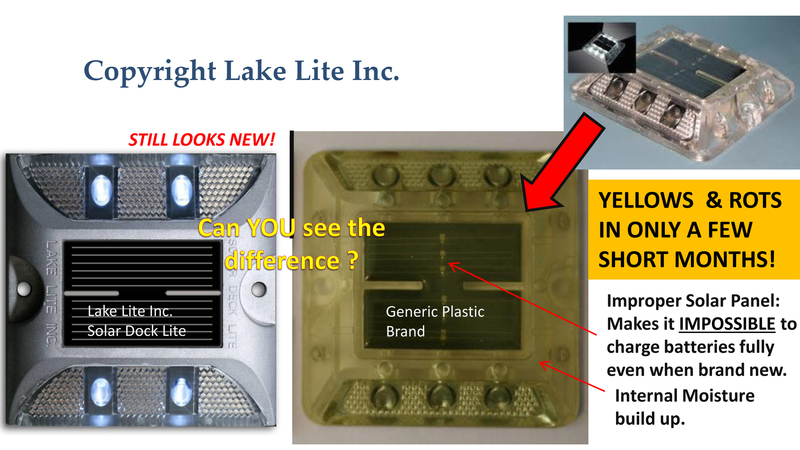 Why Buy Solar Boating and Marine Lights Now? Not all of our solar marine and boating lights have off-season prices, but come January 1, we will be getting several mandatory price increases from our manufacturer. True, the off-season goes beyond January, but the best deals are now. Flashing solar beacon lights, which are great for boaters. These can be seen for several hundred yards and can be set to fixed of flashing modes. Pole lights that work great on many different size and shaped posts commonly found on docks and around marinas. If you need a lot of lights for function rather than aesthetics, these are great choices for fences. Please note that when the new SolarFlairLighting.com is launched in early 2015, we’ll be adding several new solar lights. The ones we currently offer and the ones on sale can be found at SolarFlairLighting.com by selecting Marine Solar Lights. Our boating lights are designed and made by lighting engineers that started out making marine lights primarily for the Great Lakes region. Since they started, the range of products has continually expanded as have the people who bought them. It’s true that our solar marine lights often do cost more, sometimes more than lights that look just like other, far cheaper lights. But looks can be deceiving, as shown in the image below. Brand new and in marketing shots, the two lights look the same. After a few weeks in operation? There’s a big difference and you probably will wish you paid the extra few bucks for quality. And What Makes Our Lights Worth More than Look the A-Likes? Exceptionally high waterproof ratings: No, they aren’t designed to be continuously submerged like, say some pond lights. But almost all of our boating lights have waterproof ratings of IP 68 or better, which is an industry and government standards that is as close to submersible as you can get. They’re made to withstand regular and continual fresh and/or salt water mist, spray, fogs, splashes. Cheap lights (marine lights and other poorly made fixtures) often retain moisture inside the lights. Water (whether standing water or a continuous fog) will damage solar panels, wiring, batteries, LEDs and the controllers that make the different parts work together as a single unit. Many People Think ALL Solar Lights Are Made to Take Beatings from the Sun. Unfortunately, That’s Often Not the Case. Waterproof Construction, Solar Panels and Batteries that Can Take Extreme Sun and Temperature Extremes: Along with highly water proof construction (HOW the light is made), our lights with components that stand the test of time. Marine lights are great, for example, in desert areas where cheap solar panels don’t last very long because the intense sun can make mincemeat out of them within a couple of seasons. Anyone that’s gotten an unexpectedly bad sunburn while on vacation at the water knows this first-hand. Water intensifies the sun’s rays. Doesn’t matter if it’s human skin, solar panels, or light fixtures. Cheap does not always mean value, and stores many of all sizes don’t really solar lights. Many of our better lights (and not just our marine lights) are covered with tempered glass and other materials that protects silicon solar panels. 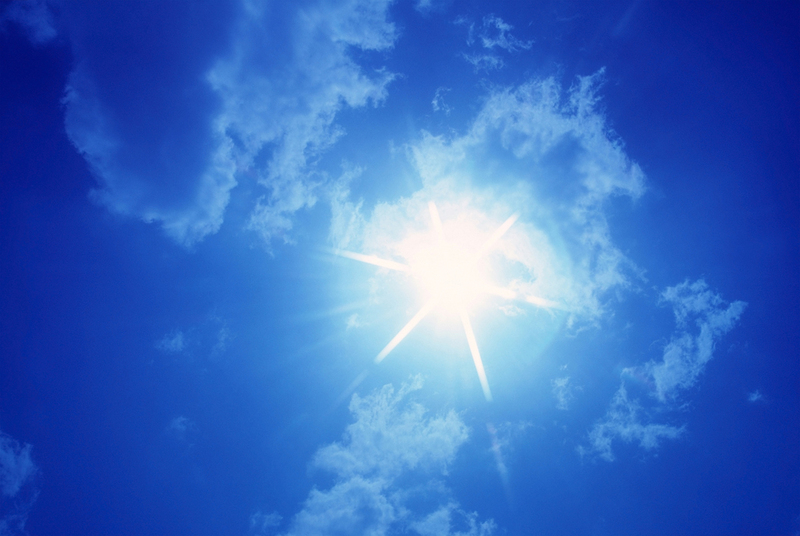 Some of our solar panels use silicon gel that is covered by protective coatings. This makes them last a lot longer than discount (or as we call them, disposable) solar lights. Other components particularly sensitive to heat and cold include batteries. Cheap is not value. Many of the discount lights you see look the same, but the quality is not there because corner are cut in how the battery and solar panels are made, the type and quality of batteries and the type and quality of LED. “Super Bright LED” is largely a term that means nothing. Housing Made with Built-In Protection: Good solar lights often use powder-coated aluminum, meaning a protective finish is baked over the aluminum much like a glaze on pottery. 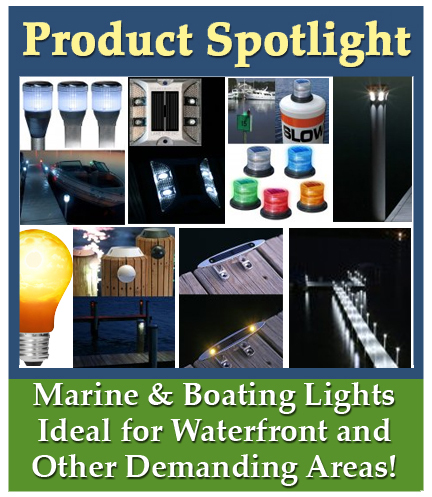 Many of our marine lights also use anodized aluminum, which is a process that increases the thickness and protection of the oxide surface on aluminum. Cheap lights use polish or oil, both of which wear away quickly. In saltwater environments, or any humid environment, plain old aluminum or aluminum covered with oil will quickly rust out. Let’s say you live in an area where there is a lot of snow and ice. Odds are that salt is one thing used on the roads, and try as you might, some of this will get tracked onto lights mounted on stairways, paths, decks and docks. While not all of our lights are recommended for saltwater areas, all of them are a heck of a lot tougher than you’ll find on a discount e-store or on sale at Walmart, Target of the local dollar store. Some lights do need to be made of materials other than aluminum to be practical, but all “plastic” is not equal. Few of any lights carried at SolarFlairLighting.com use regular plastic. Most of them are polyvinyl; our boat lights are often made of UV stabilized polycarbonate (PC), a newer petroleum based plastic specially designed to withstand extreme temperatures (both heat and cold) and intense sun. Unless you read the product specs and trust the dealer, the bottom line is you really don’t know whether that “steal of a deal” is a blessing or a curse. Got questions? No problem, we’re always glad to discuss our products with customers, potential customers, and even customers of other stores that don’t give great customer service. Just email Info@SolarFlairLighting.com and we’ll get back to you.
. We’re also ready to make deals for special prices when you buy several of any one item or lots of different items. The one thing we don’t do: we don’t sell crappy lights and pretend we’re doing customers a favor. We also research our products very carefully and test all of our dealers. And if something slips through that doesn’t meet our standards, we return your funds and remove them from our inventory. As a small store, we don’t answer to many people other than our customers. Copyright 2014, SolarLightingSmart.com, SolarFlairLighting.com. All Rights Reserved. No part of this article may be used in whole or in part without the express of one of the above parties. This entry was posted in Selecting & Caring for Solar Products, What's New and tagged boating lights, dock lights, solar boat lights, solar dock lights, solar marina lights, solar marine lights by SolarLightingSmart. Bookmark the permalink.